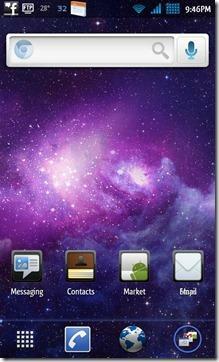 A day ago Google has officially launched their new android operating system called Android 4.0 Ice Cream Sandwich Flavor. But the OS will take some time to reach for your all android devices, but there is another alternative way you can enjoy this new ice cream sandwich flavor through Android 4.0 Ice Cream Sandwich Home Launcher APK App and its available for download from android market store at free of charge. 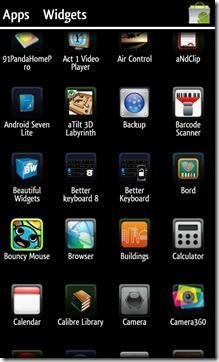 This launcher will totally transform your old home screen into new android 4.0 ice cream sandwich (ICS) GUI Interface. By installing this launcher on your smartphone you will get a lot GUI features like app drawer will give vertical smooth scrolling which you can easily jump into other tasks or apps running at background, new kind of widgets that really make you crazy to add at your home screen easily.